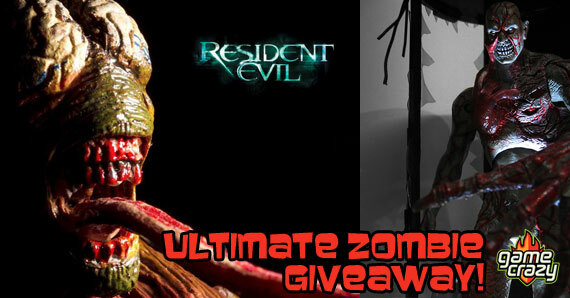 We just gave away an entire set of Resident Evil zombie figures, and now we’re back with some heroes to take on the zombie outbreak! 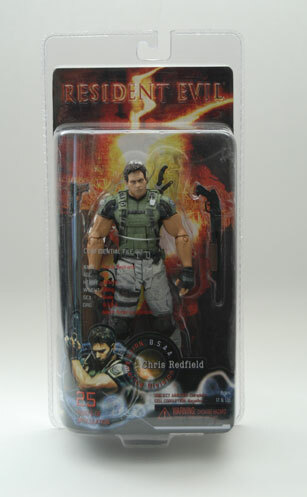 NECA has provided us with a few more Resident Evil action figures to give away to one very lucky fan. 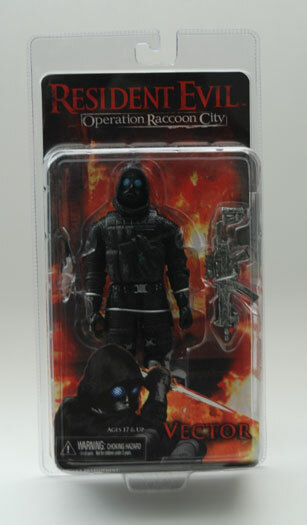 This time we have a Chris Redfield figure from Resident Evil 5 and a Vector of The Wolfpack figure from Resident Evil Racoon City. The Umbrella Corporation has been destroyed, and Chris Redfield is in charge of ensuring no one ever continues their work on biological weapons. His mission in Resident Evil 5 lies in Africa, where he must investigate and put a stop to a new outbreak. This figure has 25 points of articulation and includes a pistol, shotgun, and close combat knife! When the widespread T-Virus went of control, the Umbrella Corporation enlisted a very elite team known as the Wolfpack to destroy anything that remained in Racoon City. Vector’s special suit allows him to expertly infiltrate any situation. He comes battle ready with a tactical SMG, a UCBS Pistol, and a combat knife. Check out the Vector action figure on Amazon! 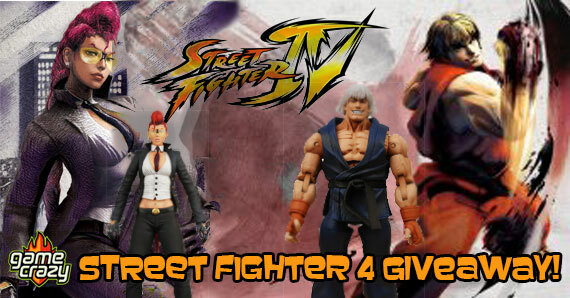 If you want to enter this giveaway, it’s simple. All you need to do is answer the trivia question! You can gain an edge on the competition if you have a Facebook or Twitter account. What else would you like to see in the giveaways at Gamecrazy.com? There’s a good chance your suggestion might be next! 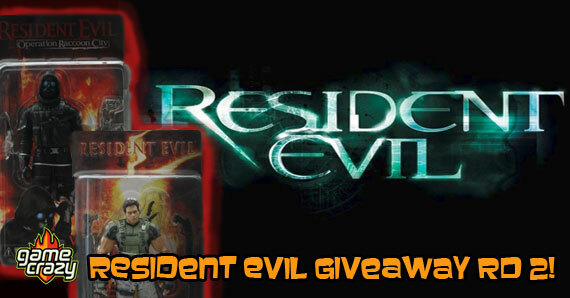 This entry was posted in Contests & Giveaways, The GC Blog and tagged chris redfield action figure, chris redfield giveaway, neca, resident evil, resident evil giveaway, vector action figure, vector giveaway by summerm. Bookmark the permalink.